On Wednesday, March 28, 2018, Jill Gough (@jgough) and I co-facilitated the first webinar in a four-part series on the Eight Mathematics Teaching Practices from NCTM’s Principles to Actions: Ensuring Mathematical Success for All. Establish Mathematics Goals to Focus Learning, and Elicit and Use Evidence of Student Thinking. How might we communicate with clarity to ensure that learners are focused on high quality mathematical goals? What types of tasks provide opportunities for learners to notice, note, wonder, and take action as agents of their own learning? 7:10 Task: Illustrative Math – Fruit Salad? Robert Kaplinsky: Open Middle Biggest Product ? An audio recording of the webinar and the chat transcript can be viewed at NCTM’s Partnership Series. 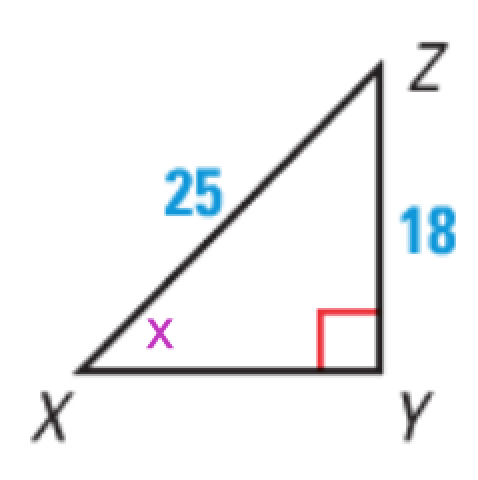 How do your students experience learning right triangle trigonometry? 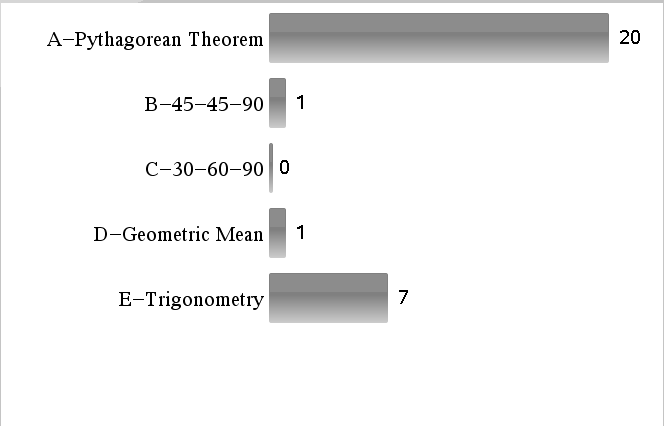 How do you introduce sine, cosine, and tangent ratios to them? NCTM’s Principles to Actions includes build procedural fluency from conceptual understanding as one of the Mathematics Teaching Practices. In what ways can technology help us help our students build procedural fluency from conceptual understanding? 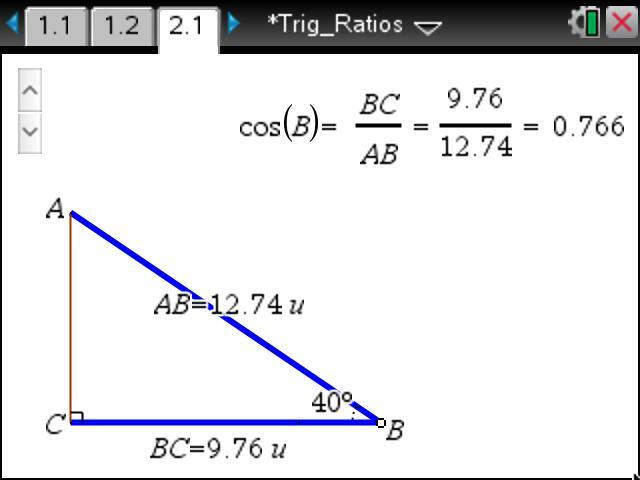 Until I started using TI-Nspire Technology several years ago, right triangle trigonometry is one topic where I felt like I started and ended at procedural fluency. 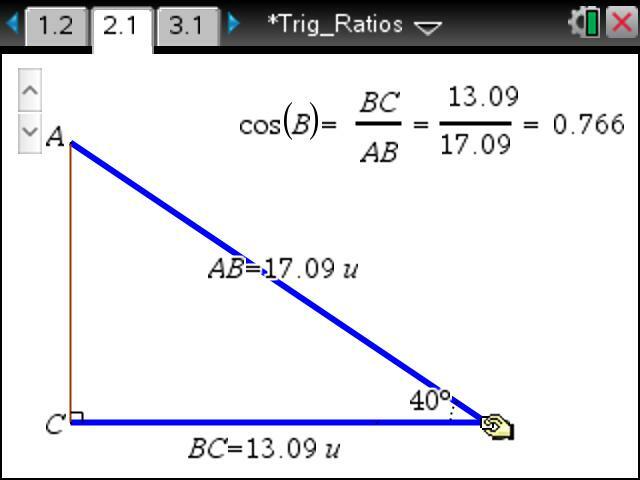 How do you get students to experience trig ratios? 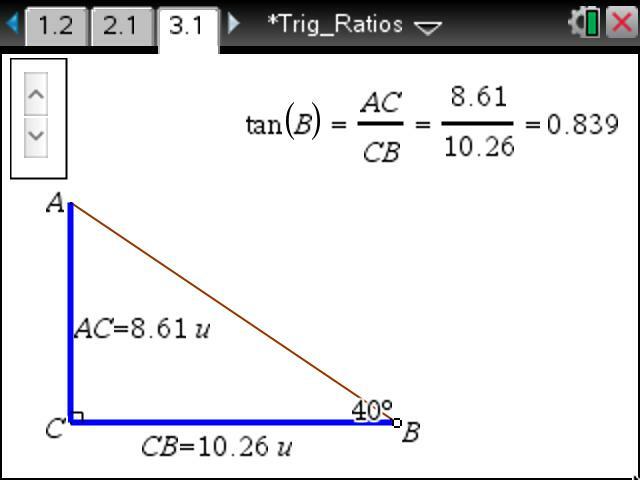 We first established a bit of a need for something called trig (when they finally get to learn about the sin, cos, and tan buttons on their calculator that they’ve not known how to use). I showed a diagram and asked how we could solve it. 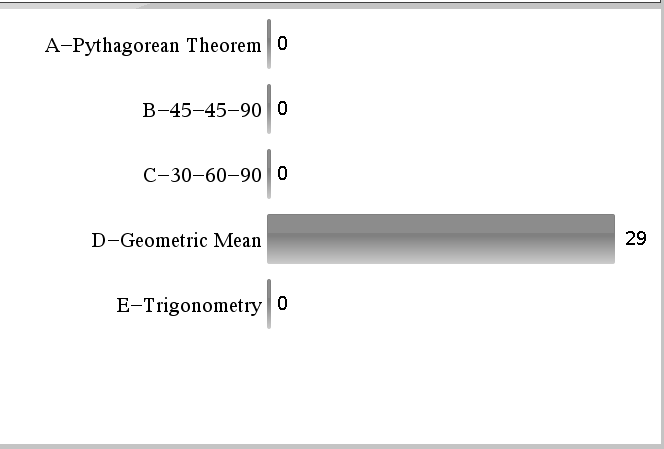 We reserved “trig” for something they couldn’t yet solve. We use TI-Nspire Navigator with our TI-Nspire handhelds, and so I can send Quick Polls to assess where students are. Sometimes Quick Polls aren’t actually so “quick”, but these were, along with letting students think about what we already know and uncovering a few misconceptions along the way (25 isn’t the same thing as 18√2). 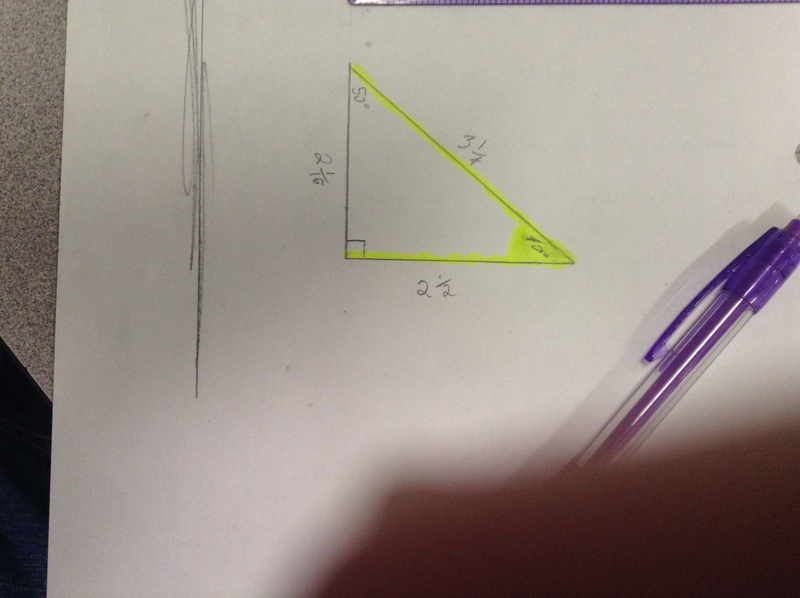 Next I asked each student to construct a right triangle with a 40˚ angle and measure the sides of the triangle. I sent a Quick Poll to collect their measurements. 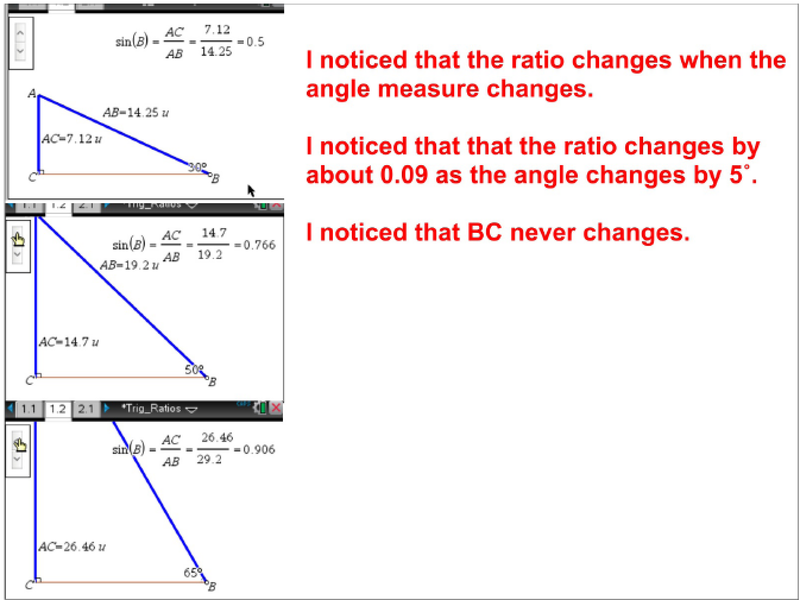 Then we looked at the TNS document for Trig Ratios. Students can take multiple actions on the diagram. I asked them to start by moving point B. What do you notice? We recorded their statements for our class notes. Then I asked them to click on the up and down arrows of the slider. What do you notice? 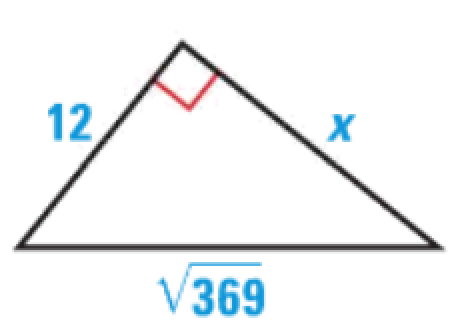 What ratio of side lengths is used for the sine of an angle? 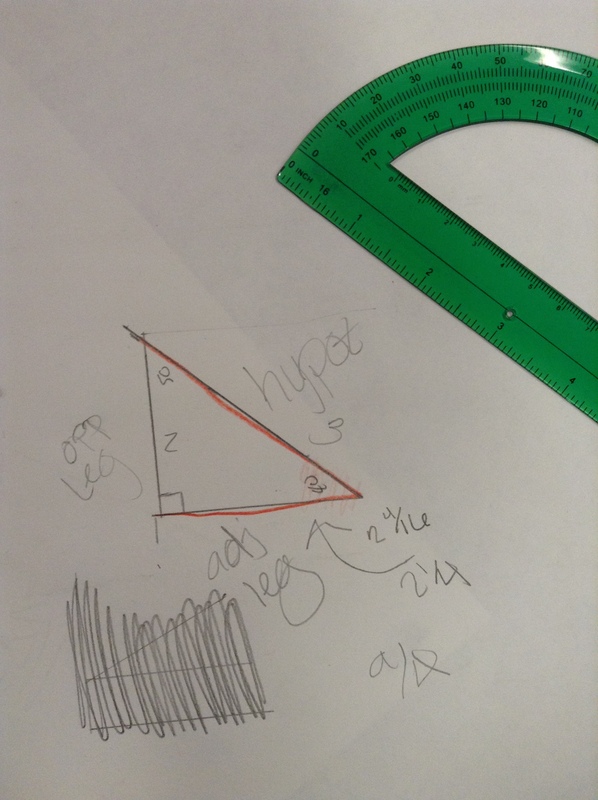 You all constructed a right triangle with a 40˚ angle and recorded the measurements. What’s true about all of your triangles? 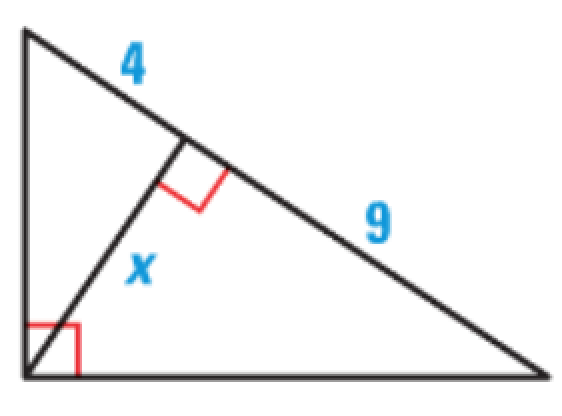 The triangles are all similar because the angles are congruent. 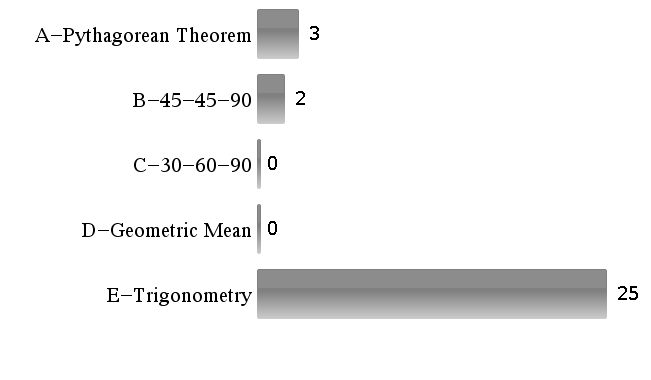 The corresponding side lengths are proportional. We know that sin(40˚) is always the same. 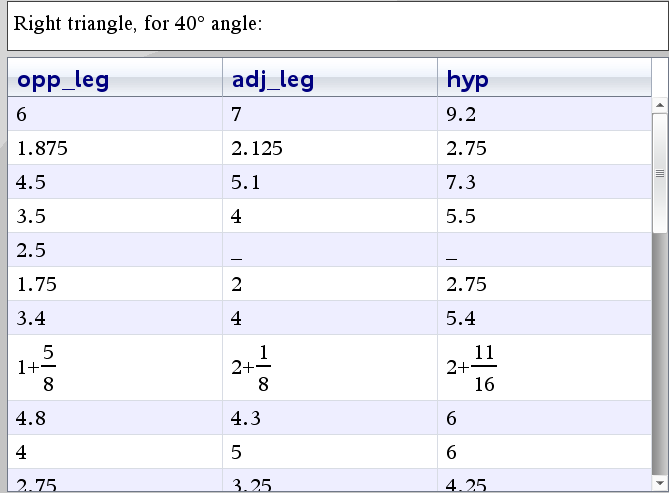 So the opposite leg over the hypotenuse will be the same? Will it? 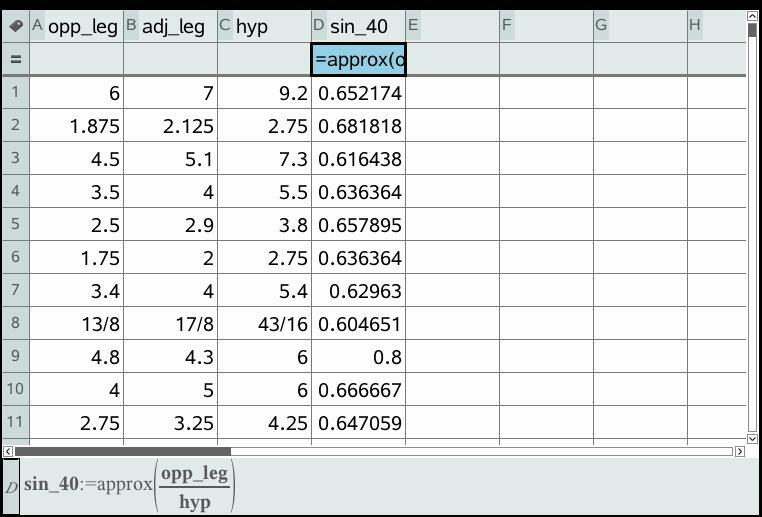 We sent their data to a Lists & Spreadsheet page and calculated a fourth column, opp_leg/hyp. What do you notice? Of course their ratios aren’t exactly the same, but that’s another good discussion. They are close. 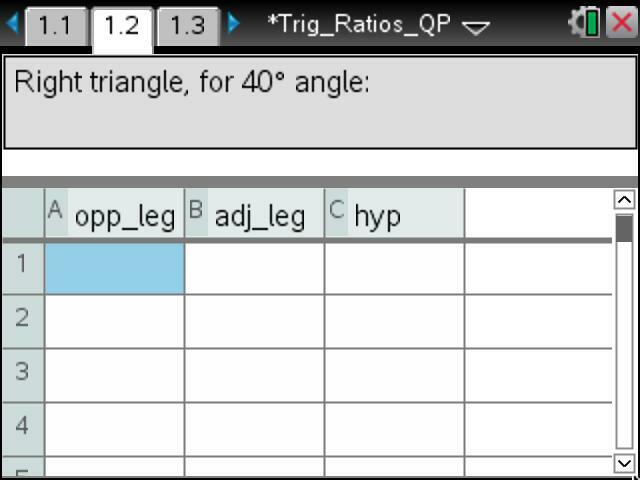 And students noticed that one entry has the opposite leg and adjacent leg switched because the leg opposite 40˚ is shorter than the leg opposite 50˚. We didn’t spend long looking at the TNS pages for tangent and cosine … students were well on their way to understanding a trig ratio conceptually. 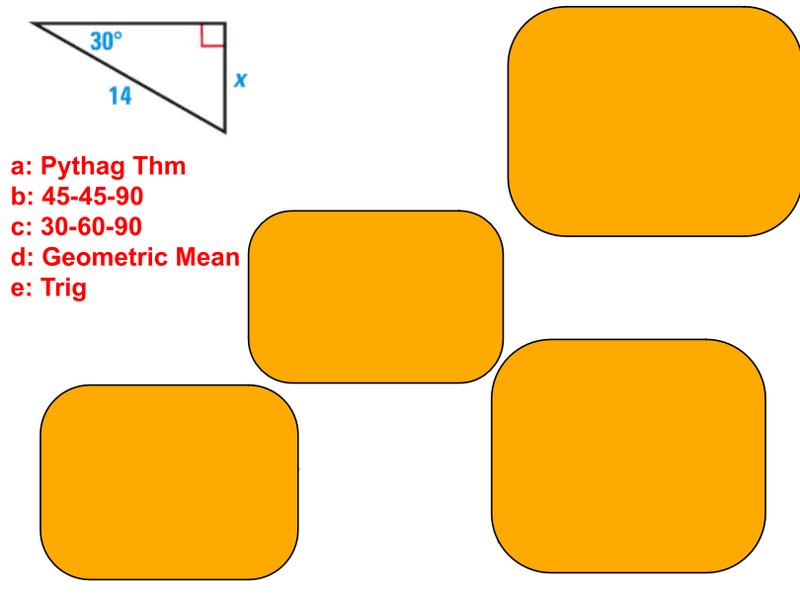 They just needed to establish which side lengths to use for cosine and which to use for tangent. There’s a reason that #AskDontTell has been running through my mind as I have conversations with my students and reflect on them. Jill Gough wrote a post using that hashtag over two years ago: Circle Investigation – #AskDontTell. What #AskDontTell opportunities can you provide your students this week? 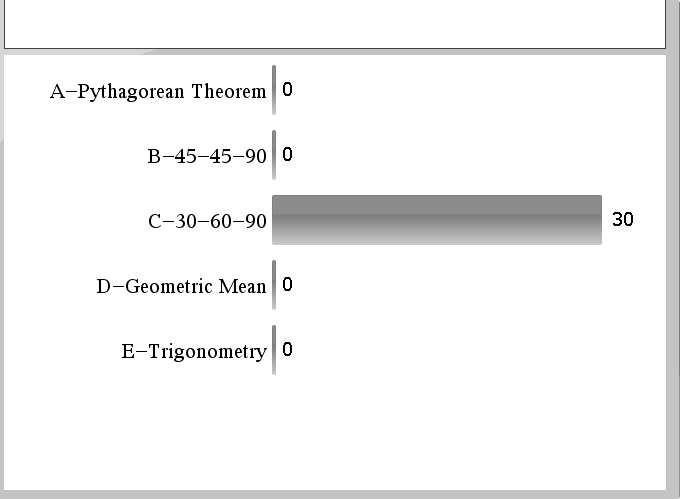 I can calculate and use the area between two curves. I can use the disc and washer methods to calculate and use the volume of a solid. I can use the shell method to calculate and use the volume of a solid. I can calculate and use volumes of solids created by known cross sections. During the lesson focusing on the first goal, we used a scenario from a TImath activity The Area Between to start our conversation. Suppose you are building a concrete pathway. It is to be 1/3 foot deep. 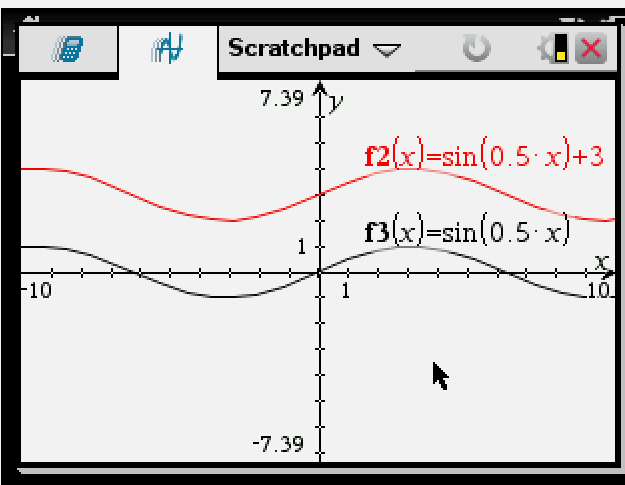 On the next page, graph the functions. 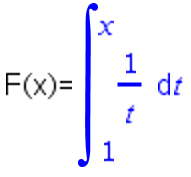 Use the Integral tool to calculate the area under f1 and f2. 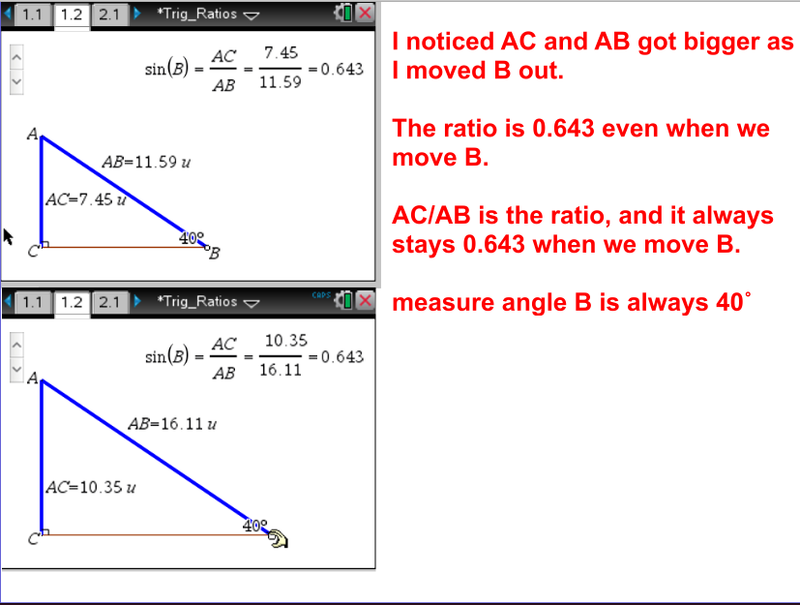 Then, use the Text and Calculate tools to find the volume of the pathway. Which takes away any opportunity for students to engage in productive struggle. Suppose you are building a concrete pathway that is to be 1/3 foot deep. 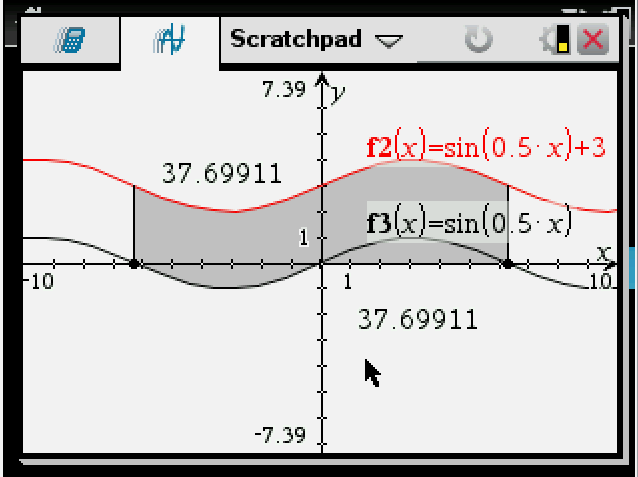 The borders for the pathway can be modeled on the interval -2π ≤ x ≤ 2π by f(x)=sin(0.5x)+3 and g(x)=sin(0.5x). 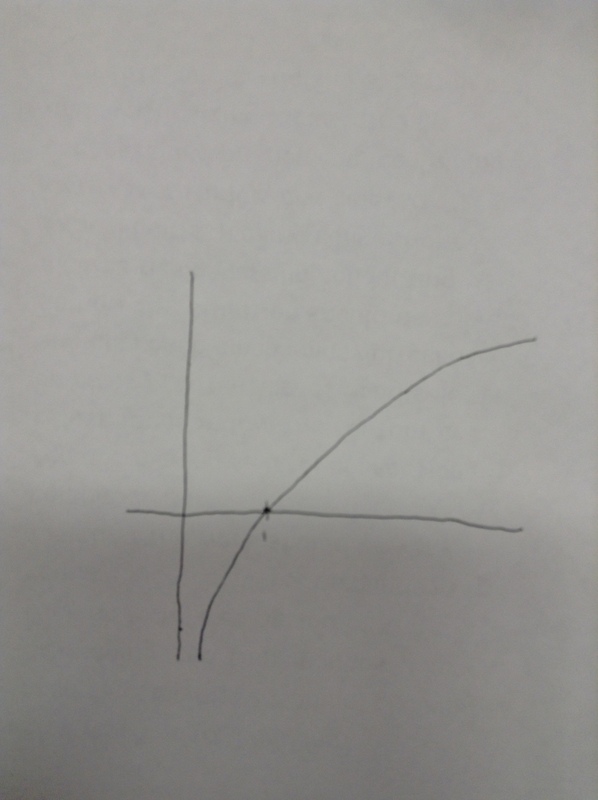 They decided to graph the functions. And talked about how they could calculate the area between the curves. 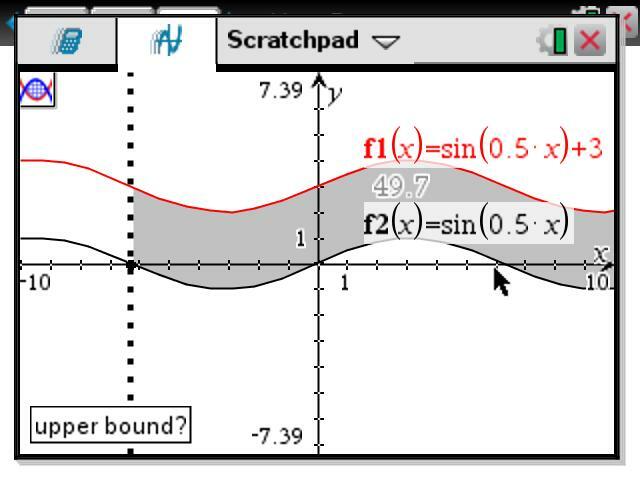 They had never used the Integral tool for graphs, much less the Bounded Area tool, so they oohed and aahed gasped in amazement. 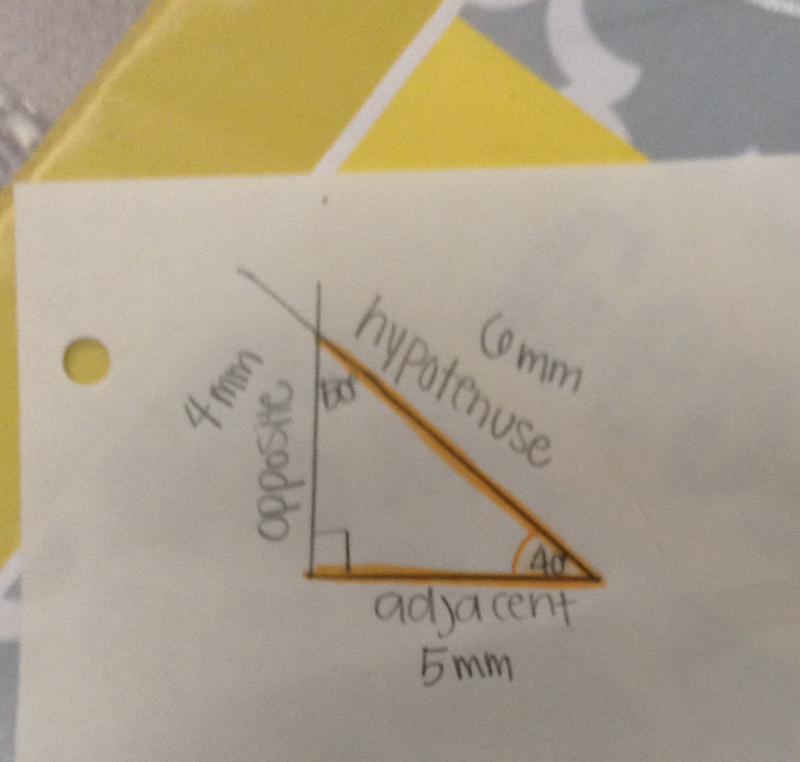 Sydney asked: Is that the only way to get the area between the curves? (I knew that she was looking for and making use of structure, composing and decomposing the sidewalk into regions with equal area). 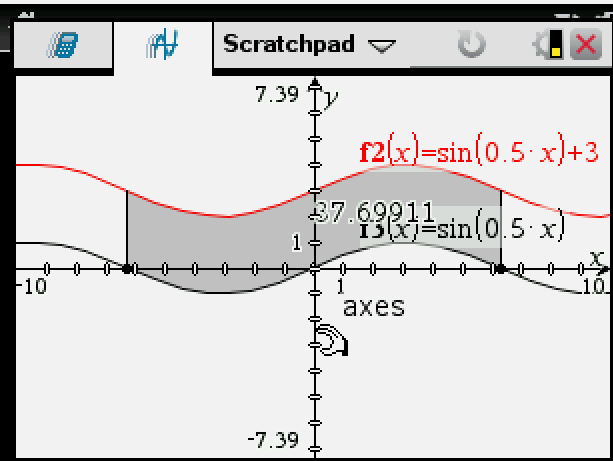 We made Sydney the Live Presenter, and she used the Integral tool to calculate the area between f(x)=sin(0.5x)+3 and the x-axis from -2π to 2π. 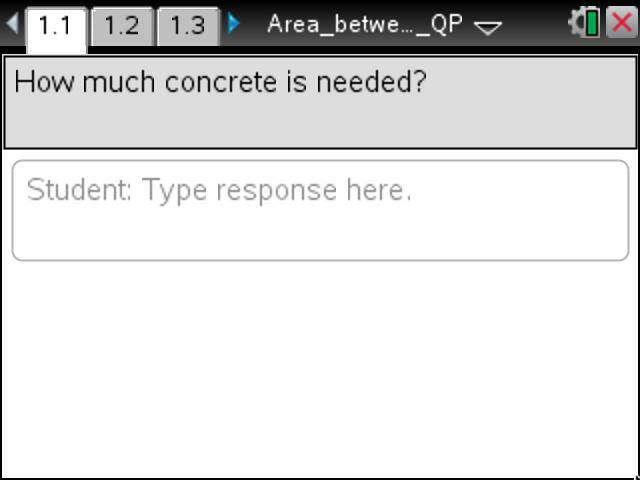 So how can we calculate the amount of concrete needed? 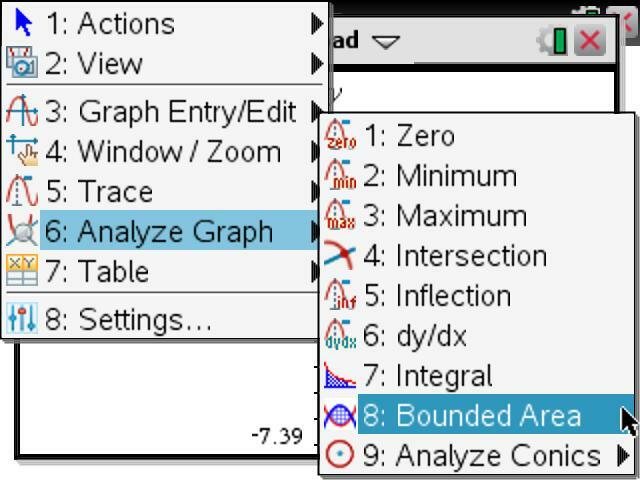 The integral and bounded area tools are helpful for visualizing what you’re calculating, but you can’t use those tools on the AP Exam. And so the students decided to calculate the area between the curves and then multiply by 1/3 to get the volume of the pathway. 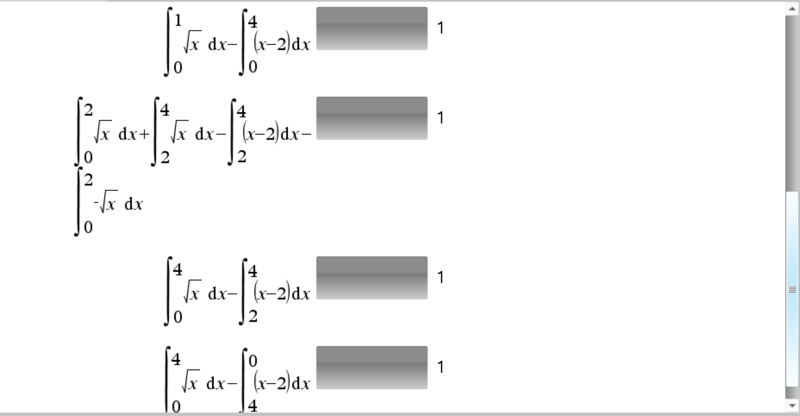 Because they were able to tell me what to do, I almost didn’t send a Quick Poll to collect a definite integral that would calculate the volume. I wanted to hurry up and get to a card-matching activity similar to Michael Fenton’s that I knew would be helpful, but instead I eased the hurry syndrome and sent the poll. What I saw and heard was well worth the time that it took. Can you spot the students’ misconception? 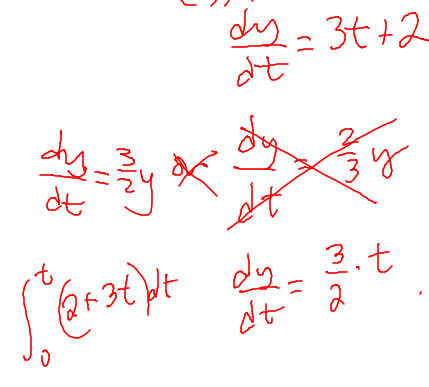 When we calculated their integral, we didn’t get (1/3)*37.699, as expected. Next I purposefully choose a region for which the upper and lower boundaries changed. 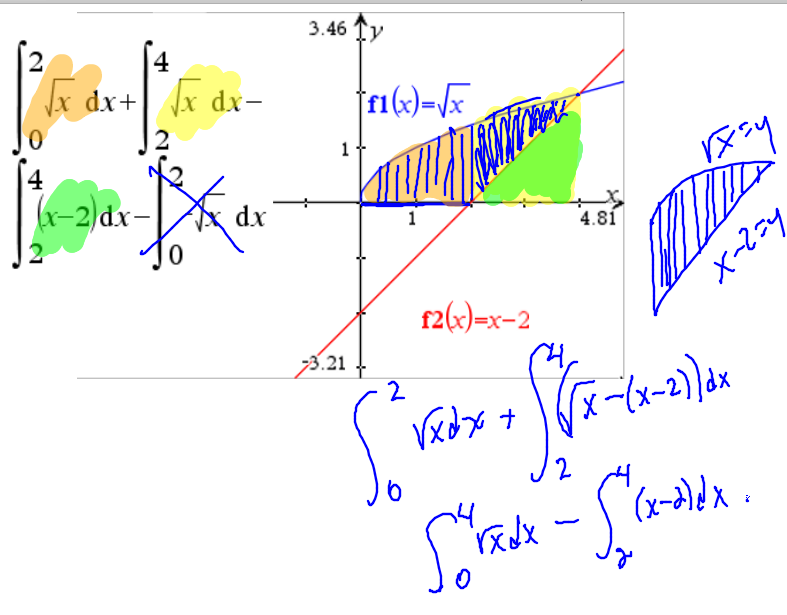 We had a nice look for and make use of structure discussion about different ways to write a definite integral for calculating the area of the region. In calculus, we started the semester with a unit on Transcendental Functions. On the first day, students figured out everything they could about F(x). Where is F(x) increasing, decreasing? Where is F(x) concave up, concave down? What is the domain for F(x)? the range? Then they sketched a graph of F(x) from what they figured out, and determined that F(x)=ln(x), and F’(ln(x))=1/x. 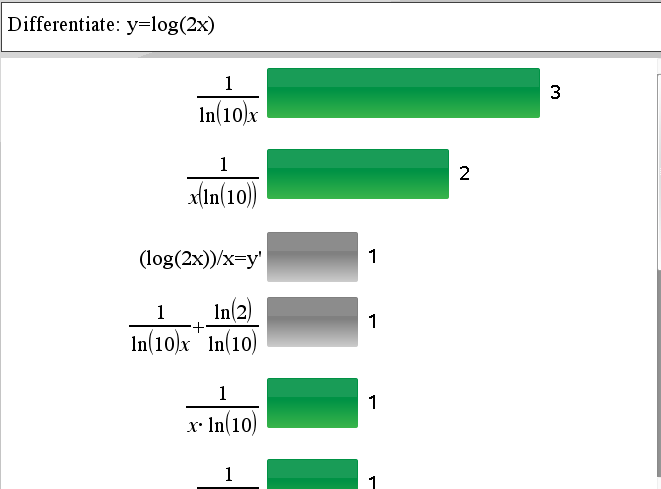 So the next day, I asked them to differentiate y=log(2x). 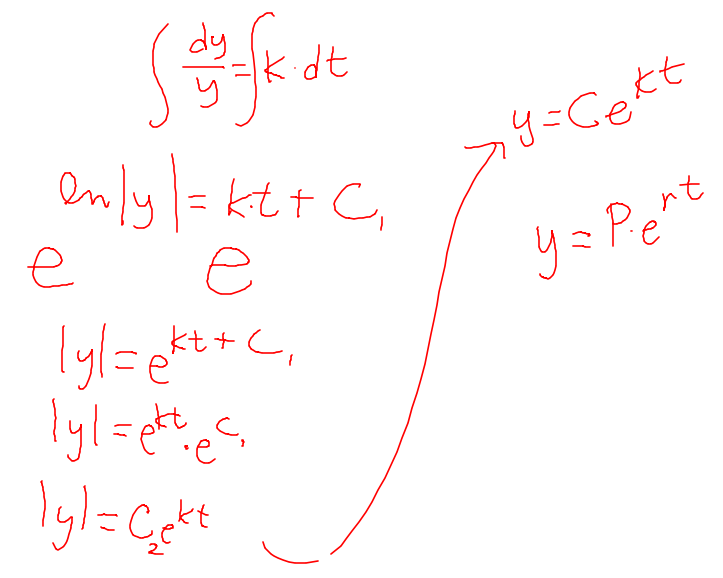 I had not given them any “formula” for differentiating logarithmic functions. They had only figured out that the derivative of ln(x) was 1/x. I sent the question to them as a Quick Poll to watch their progress. I watched for a long time. I saw and I heard productive struggle. And eventually, their struggle turned into success. We can cover so many more examples when we don’t give students time to grapple with mathematical ideas and relationships. But how effective are the examples without the productive struggle? 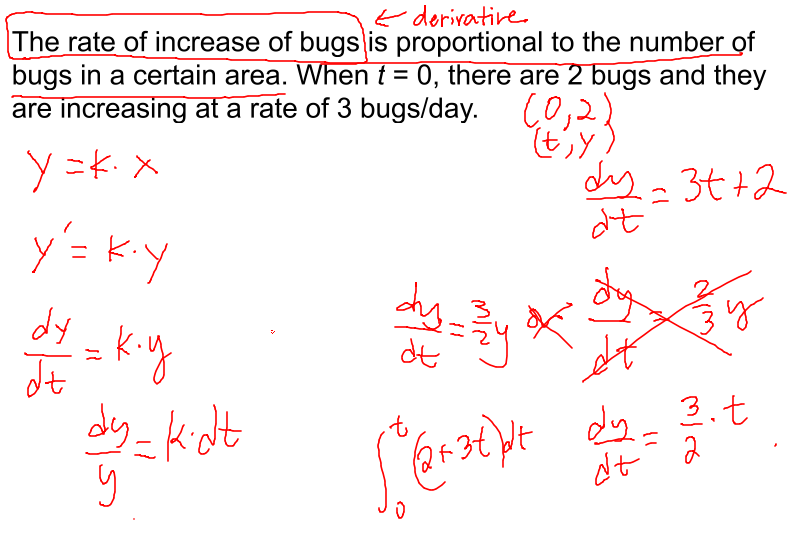 Ultimately, are my students better off having struggled to think through change of base to get to the derivative of log(2x) using what they already know about the derivative of ln(x)? 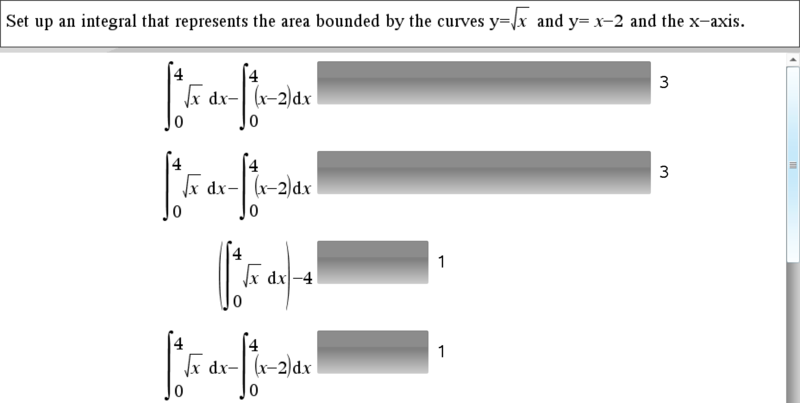 Or would they have been better off with me giving them the textbook way to calculate the derivative of logb(x)?